All of ŠKODA’s models, apart from the Kodiaq, are available to drive through the Motability scheme. To get started with a Motability ŠKODA, you can speak with an expert at Marshall who will guide you through the entire process. Thanks to ŠKODA’s design in combining practicality with comfort, the ŠKODA range offers plenty of scope for adaptations. They are spacious models, making them ideal for stowage and access alterations, while the simple interior layout can be modified to incorporate easier driving controls. You’ll find that most of the desirable adaptations are free of charge through the scheme and we can organise them all for you. We are proud to offer a range of deals that make the cars much more affordable – often with nil advance payment. Designed for simplicity, the scheme builds in lots of extra motoring costs such as road tax, accident and breakdown cover and insurance for up to two named drivers. Your car’s on-going servicing is also included, as well as tyre and windscreen replacements, to help keep your car in first-rate condition. All you have to do is pay for the car though your mobility allowance, and if the model you would like costs more you just pay the difference yourself. You’ll have the car to drive for three years with a mileage allowance of 60,000 miles. Our team is here to help you get on the road in a ŠKODA through the Motability scheme. Call us or enquire online using the form to arrange an appointment today. 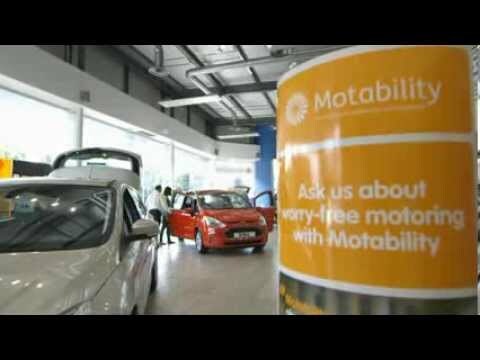 Meet the Motability Team at Marshall SKODA Oxford! To be eligible to join the Motability Scheme, you need to receive one of the following disability benefits.